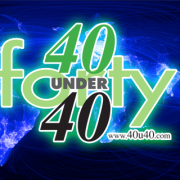 FRESNO – The “40 Under 40” reception, presented by Business Street Online, recognizes outstanding business professionals in the private and public sectors of central California who have yet to reach the age of 40. They have demonstrated a strong work ethic, and are the leaders of today as well as tomorrow. Each year, Business Street Online holds a networking reception, which the public can attend, to celebrate the accomplishments and hard work of these young rising stars. Can celebrate our honorees for the 10th Annual Business Street’s ’40 Under 40′! Alicia Mirando – City of Fresno, Airports Dept. Ashley Emerzian – Emerzian Shankar Legal Inc.
Brett Richesin – Alliant Insurance Services, Inc.
Hilary Haron – Haron Motor Sales Inc.
Inna Shankar – Emerzian Shankar Legal Inc.
Phillip Siegrist – City of Fresno, Development and Resource Management Dept. Ralph Rendon – Gar Tootelian, Inc.
Tommy Caprelian – House of Pendragon Brewing Co.